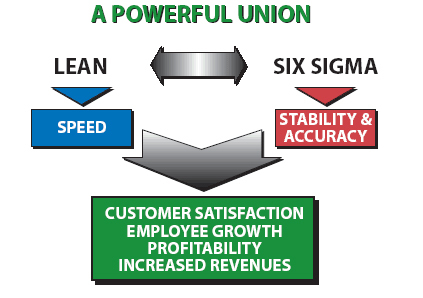 Six Sigma is a business management strategy, originally developed by Motorola that today enjoys wide-spread application in many sectors of industry. Six Sigma aims to deliver “Breakthrough Performance Improvement” from current levels in business and customer relevant operational and performance measures. Six Sigma initiatives are planned and implemented in organizations on “Project by Project” basis. Each project aims not only to improve a chosen performance metric but also sustain the improvement achieved. A special organization infrastructure of "Champions," "Master Black Belts," "Black Belts”, “Green Belts” etc. to lead and implement the Six Sigma approach. A clear commitment to making decisions on the basis of verifiable data, rather than assumptions and guesswork. 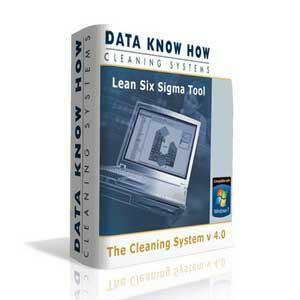 The term "Six Sigma" is derived from a field of statistics known as process capability study. It refers to the ability of processes to produce a very high proportion of output within specification. Processes that operate with "Six sigma quality" over the short term are assumed to produce (long-term) defect levels below 3.4 defects per million opportunities (DPMO).Six Sigma's implicit goal is to improve all processes to that level of quality or better. In recent years, Six Sigma has sometimes been combined with lean to yield a methodology named Lean Six Sigma.